Private Yoga, Private Pilates and Yoga Therapy in Brisbane and Toowoomba are designed to help you with your specific needs, mind and body. If you are thinking about booking a private consultation, contact us. We here at Zama Yoga would like to know how we can help you. You may also be able to claim yoga with your health fund, particularly if you are regularly undertaking practice as part of a program recommend by your health professional. We have appointments available at both our Brisbane and Toowoomba studios. We can develop a yoga or Pilates program tailored to your needs, which will include home practice as well as practice during the consultations. The number of consultations you need depends entirely on you, and this can be determined during your first consult. Zama Yoga offers private yoga therapy consultations at both our Toowong, Brisbane and Toowoomba studios. If you are thinking about booking a private consultation, contact us and we will let you know how we can help. We can also organise private yoga sessions with two people or a small group. Yoga Therapy is a great form of natural therapy for many different issues, including injury or surgery rehabilitation, flexibility and strength, depression & anxiety, and stress. We also offer aqua yoga therapy, which is a low impact form of exercise, from our Toowoomba studio. It can also be a wonderful aid during pregnancy, or for couples looking to conceive. Your yoga therapist will listen to your physical, mental and emotional needs and tailor each session to suit you and your needs. A few words from a happy client . . .
"I ruptured my anterior cruciate ligament some months ago. As a podiatrist, I was acutely aware of what this meant. I was advised that regular cardio vascular exercise was out of the questions. My only options for keeping fit were swimming and yoga, although both in a limited capacity. I was delighted when Zama opened and I frequently attended the hot yoga classes. Not only was I able to achieve a deeper stretch, I lost weight (and inches) and found a sense of well-being. This also provided an opportunity to sweat through exercise, something I had been missing. Following my reconstruction surgery, and with the consent of my physiotherapist, I have returned to yoga, but for private sessions with Nicole, who's extensive training includes rehabilitation. The results have been overwhelming - and my physiotherapist agress. 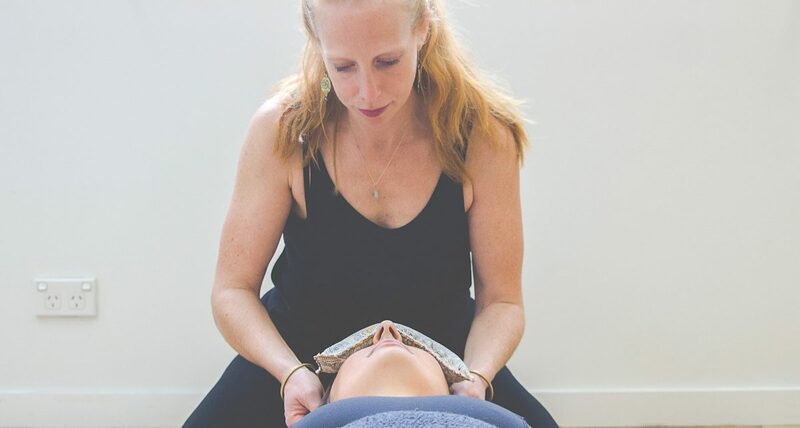 With Nicole's in-depth knowledge of anatomy and the body's limitations, I was able to achieve my optimum range of motion without stress or discomfort. The yoga positions that Nicole guided me through addressed the imbalance of my body as I was compensating and overusing other muscles. My body was treated as a whole. This holistic approach is so important as other areas can greatly suffer following injuries/operations. At all times I felt confident in Nicole's abilities and can't speak highly enough of her. Contact us to book today.